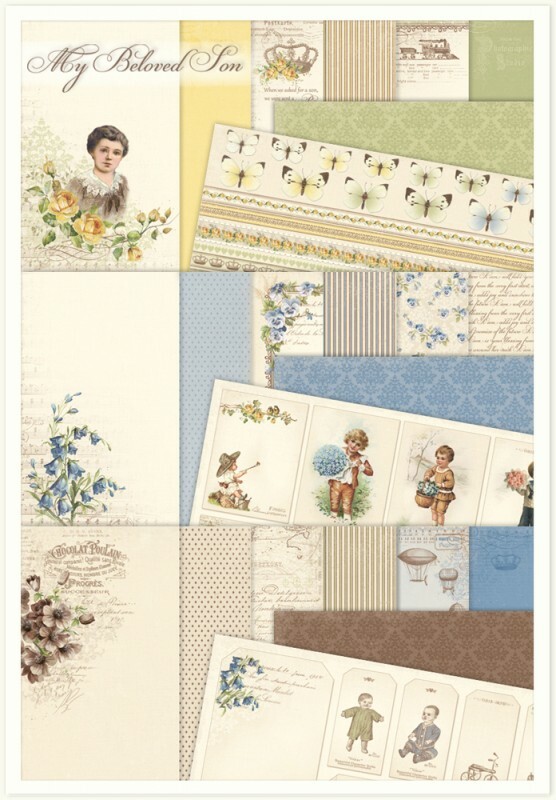 We are glad to let you know that the paper collection My Beloved Son has arrived and is ready for shipment. My Beloved Son consists of 12 double sided papers in the size 12×12″ as well as single sided papers with 6×6″ designs. The collection is also available within the collection Memory Notes, for fast and easy journaling in an instant.